If you want funding, you’ve got no choice but to start a private limited company. Here’s a break-up of all the costs involved in getting your business, and then keeping it, registered. Try as you might, there’s no way for a start-up to keep away from regular interaction with government departments. This is because, to get funding (and for lots of other reasons), you need to register your business as a private limited company. The moment you do this, you need to inform the Ministry of Corporate Affairs of every major change you make to your organisation’s structure, report your financial performance and, of course, file tax information. It does sound like a lot, but how much does it cost? 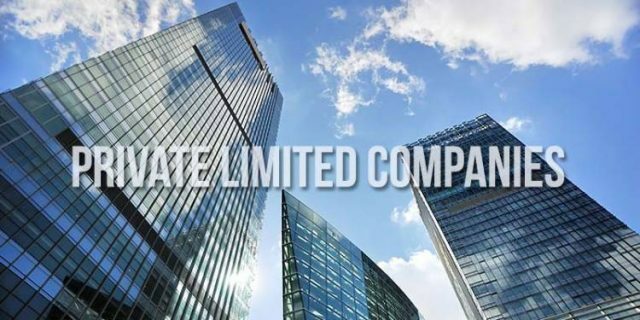 Let’s walk through all the costs of starting and running a private limited company. The cost of company registration in India is largely the same across states, barring Madhya Pradesh, Kerala and Punjab, the three states where stamp duty rates are much higher. If you elect to incorporate with minimum authorised capital, which is Rs. 1 lakh, you will pay around Rs. 7,000 (this will be close to Rs. 15,000 in the three above-mentioned states). The higher the authorised capital, the higher this amount will be. This Rs. 7,000, however, assumes that you will do all the work yourself, which is unlikely. You will most likely hire an online legal services company (Vakilsearch, for example, charges Rs. 6,999) or a local CA or CS, whose charges will depend on quality. Cost: One-time cost of around Rs. 15,000 for authorised capital of Rs. 1 lakh. The government requires all businesses to get a number of licenses. If you offer a service, then you must charge customers service tax (for which a service tax registration is necessary) once your turnover crosses a certain amount; if you sell goods you need to charge customers sales tax (sales tax registration) once your sales cross a certain amount; if you have employees, you need to deduct Professional Tax (this has a registration, too, of course); all businesses also need a license under Shops & Establishment Act; if you are into import-export, you need an import-export code. Needless to say, these licenses have costs, which usually differ in each state. You will mostly also need to hire someone to file these taxes for you, but this is nominal. Cost: Expect to spend Rs. 7,000 to Rs. 15,000 per registration, though prices vary greatly in each state. Most businesses need at least three registrations. Again, this is a one-time cost. Filing fees are insignificant. Perhaps the most painful of the lot, mandatory compliances involve a whole bunch of declarations to the MCA. If you’re a new company, it includes getting the common seal, share certificate, then drafting minutes of the board meeting, filing financials of directors and the company, return filings and much else. They’re small jobs taken individually, but combined they involve a huge effort. Cost: Online legal companies will do this for Rs. 18,000 per year (inclusive of government fees), but will usually be double this at a local CS. Accounting isn’t really specific to private limited companies. All businesses should be maintaining their books. But it’s mandatory here, so let’s consider it. Charges usually start at Rs. 3000 a month for companies with very few transactions. Auditing is done once every year and this again is mandatory. Cost: Minimum of Rs. 3,000 a month for accounting and at least Rs. 15,000 for auditing. Companies need to inform the MCA when they make changes to the structure of their business. If a director is added or replaced, if the office moves, if you add or replace an investor, etc. Each of these will cost money. They have a government fee and a professional fee (charged by a CS or a company that connects you with a CS). Small companies, of course, don’t hire a CS because such changes are infrequent. Cost: Professional fees of Rs. 1500 to Rs. 2000 plus government fees, which vary. These five types broadly cover the costs of running a private limited company from a legal perspective.